Remembering someone’s name is sometimes tortuously difficult. The face may be familiar but the name and the context in which we last met the person can be elusive. The Bible also records a situation through which a name was forever forgotten. In the book of Ruth we read about the kinsman of Elimelech who did not want to become involved in buying the land from Naomi, when he learned that it might endanger his own inheritance. In the book he is referred to as Almoni Peloni. This, of course, was not his real name but it means something like, ‘such and such’ or ‘so and so’. It has even been translated as ‘Mr Nobody’. Clearly this man’s real name has been forgotten. However, other names and their significance are highlighted in the book of Ruth. One indication that names are important is that the word ‘name’ (Shem in Hebrew) occurs 14 times in this short book. 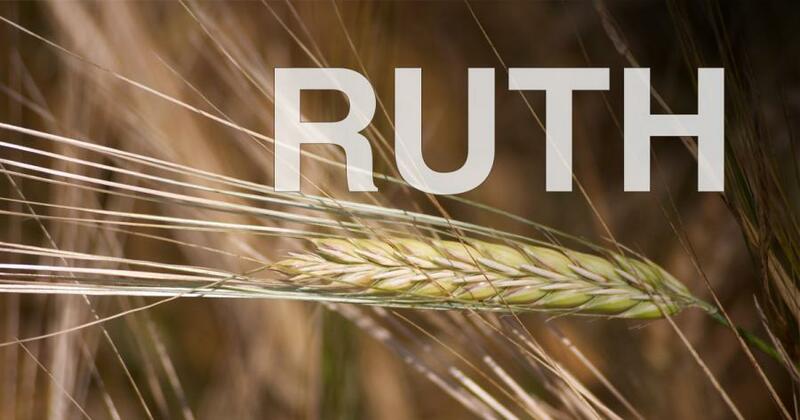 The names of most of the characters in the book of Ruth have an important role to play in conveying the main message of this story. Probably the two most significant names in the book are the one that is mentioned first and the one that is mentioned last. The first name in the book is Elimelech and the last name is David and in the Hebrew text David is the final word. Both names convey the idea of Kingship. Elimelech’s name was very appropriate in the time of the Judges - it conveyed the meaning that ‘God is King’ or possibly, ‘My God is King’. This name is an indication of the faith that still burned in many Israelite hearts that in spite of the disastrous period of the Judges, God was still in charge and he was their King. However, the last name in the book, David, showed that God was raising up a leader for his people who would exercise leadership under God’s authority. God was providing a king who would honour him and lead the people to blessing and success. The second name that occurs in the book of Ruth is Naomi. This name coveys the idea of pleasantness. It is a name that is particularly prominent in the story since Naomi herself draws attention to its meaning. Speaking to the women of Bethlehem, she implored them not to call her Naomi (pleasant) but to call her Mara (bitter). Naomi was going through a dark, difficult period and much had happened that she could not understand. She believed that Israel’s God existed but could not accept that he was working for her good. She had no conviction that God was at work on her behalf or that he was going to take care of her and she never imagined that her daughter-in-law would be the ancestress of the King of Israel, and ultimately, of the Messiah. Yet, in spite of her despair and pessimism, God was working out his own mysterious but wonderful plans. Mahlon and Chilion’s names are difficult to define and although scholars have discussed them at length, we still cannot be certain about their meaning. However, the most likely theory is that their names convey the ideas of sickness and weakness. This suggests that one of the reasons why Elimelech moved to Moab was for the sake of the health of his children. The names of Ruth and Orpah, have been given lots of attention but they are probably Moabite names whose meaning we do not know. However, it is not Ruth’s name that is emphasised in the story but her nationality. Continually she is referred to as ‘the Moabite’ (1:4, 22; 2:2, 6, 21, 4:5, 10). On the one hand, this repetition may seem unnecessary since anyone who follows the story closely is aware that she is from the land of Moab. Why then is her nationality repeated so many times? Perhaps it is to remind the reader that her nation was often despised. According to Genesis, the nation of Moab had a very inauspicious origin and a name that was despised in Israel. The father of the Moabites was Lot the nephew of Abraham but the mother was Lot’s own daughter who induced her father to get drunk so that she could have progeny by him (Gen 19:30-38). Moab’s reputation goes downhill from there since it was the King of Moab who hired Baalam to curse Israel (Num 22:1-6). This led to the injunction that ‘no Ammonite or Moabite may enter the assembly of the LORD’ (Deut. 23:3). Although Jewish tradition explained that this injunction only applied to men, it does seem that the relationship between Israel and Moab made it highly unlikely that God would choose a Moabite woman to be the grandmother of King David. But that is exactly what God did. Indeed one of the main themes running through the Scriptures is that God often surprises us by choosing people whom others would regard as unsuitable. ‘But God chose what is foolish in the world to shame the wise; God chose what is weak in the world to shame the strong; God chose what is low and despised in the world, even things that are not, to bring to nothing things that are’ - (1Cor 1:27-28 ESV). One of the most interesting names in the book of Ruth is Boaz. It could be translated ‘In him is strength’. This was an appropriate name for the character who showed concern for others. His greetings to the workers in his field, (‘the LORD be with you’), may be simply a greeting or it may indeed suggest that Boaz was daily trusting in God and encouraging others to do the same (2:4). If this is the case he was a source of strength and support to others. He certainly played this role towards Ruth. She was greatly in need of strength and help. Although it is not clear if there is a direct connection between Boaz and the Temple, it is very interesting that less than a century after the time of Boaz, Solomon was building the temple and he called one of the pillars - Boaz (1Kings 7:21). ‘God has highly exalted him and bestowed on him the name that is above every name, so that at the name of Jesus every knee should bow, in heaven and on earth and under the earth, and every tongue confess that Jesus Christ is Lord, to the glory of God the Father’ - (Phil. 2:9-11, ESV). ‘How sweet the name of Jesus sounds in a believer’s ear! It soothes his sorrow, heals his wounds, and drives away his fear’. Bio: James McKeown FHEA, BD, PhD. James was Vice Principal of Belfast Bible College for over 20 years. His special interests include the Hebrew language and its significance for the study of the Old Testament. This interest has involved many trips to Israel, including study visits to the University College, Jerusalem and the University of Haifa. He has written a commentary on Genesis in “The Two Horizons Old Testament Series” published by Eerdmans. James left the Bible College in 2009 to spend more time preaching, teaching and writing.